Born: 31 December 1850, Bangalore, India. Died: 25 March 1937, United Kingdom. Henry Charles Harford was the son of Captain Charles Joseph Harford*. Both were insect collectors associated with Natal. Henry spent much of his childhood in Natal and spoke the Zulu language. After his schooling in Plymouth, England, he joined the 99th Regiment as an ensign in 1870. From 1877 to 1882 he was adjudant of the regiment. During this period he served in the Anglo-Zulu War of 1879, for which he was awarded a medal with clasp. His diary was later published under the title The Zulu War journal of Colonel Henry Harford (US Naval Institute Press, 2008).In 1898 Harford became commander of his regiment. From 1902 to 1905 he commanded the 62nd Regimental District and from then to 1907 was the colonel in charge of Records for the Yorkshire Grouped Regimental Districts. In the latter year he was made a Companion of the Bath (CB). He later lived at Wanstead, Crawley Down, Surrey. Harford sent a few specimens of butterflies from Natal, with many most interesting sketches and descriptions of larvae and pupae, to Roland Trimen* at the South African Museum in Cape Town. Trimen thanked him for his contributions in the preface to his book, South African butterflies... (1887-1889). Harford appears to have started contributing insects to the collections of the Durban Natural History Museum from its inception around 1885, and made extensive donations over a period of many decades. Most of his specimens were collected while he was stationed in Malta, Switzerland and India. Shortly after 1910, during the early years of the curatorship of E.C. Chubb*, he furthermore donated a collection of some 22 000 shells. Quickelberge (1987, pp. 10, 12) thought that he played a role in the Natural History Association of Natal during 1869-1870, but this appears to have been his father. 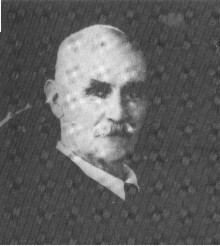 Henry Charles Harford. Goodreads, at http://www.goodreads.com/author/show/15355359.Henry_Charles_Harford as on 2017-6-12. National Automated Archival Information Retrieval System (NAAIRS). http://www.national.archives.gov.za/naairs.htm Documents relating to Harford, H.C.
Robertson, H. Biodiversity explorers. http://www.biodiversityexplorer.org/people as on 2017-6-12.